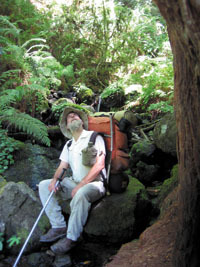 Each year millions of visitors come to Northern California to view the ancient redwood forests. To accommodate them, California State Parks has developed a network of trails, roads, parking lots, campgrounds, and cabins. Over the years, people walking around the bases of redwoods have led to soil compaction. This is detrimental to tree growth and significantly shortens their life span. 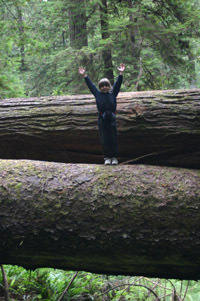 California State Parks has begun implementing actions to lessen the effects of increased visitation on the redwoods. These actions will ultimately lead to less soil erosion and compaction, and to a much healthier ecosystem. You can help protect these ancient forests by staying on official trails and packing out what you pack in. Our redwood forests act as natural sponges to help absorb excess carbon dioxide, a harmful green house gas. Preservation and restoration of once-logged over areas assist in the worldwide effort to reduce the impact of climate change. The combined efforts of visitors and park staff will ensure that future generations experience the majesty of redwoods as you do today.